If you want to grow your business and connect with all the potential customers who are looking for your service or goods online but don’t know you exist yet, then that should be a resounding YES! SEO, or search engine optimization, is a way of updating your website to meet the latest guidelines and recommendations from the search engines. 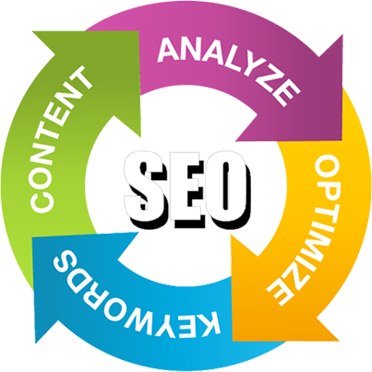 At Boise SEO, our process includes on-site optimization which is editing the website to meet and exceed these guidelines to help increase your rankings within the search results of the various search engines such as Google, Yahoo, and Bing as well as offsite SEO work. Offsite development is a huge component of any successful SEO campaign. Offsite development meaning it is outside of your website’s domain. This may sound odd, but in reality the offsite portion is a crucial aspect of SEO. This comes in multiple forms that are all valuable for your internet presence. One of them is making sure that your companies information is consistent across the various directories and citations throughout the internet. 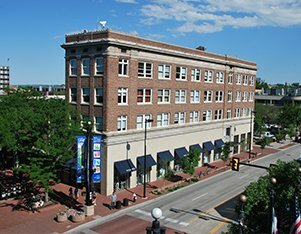 Boise SEO will ensure that your business address is correct in Google Maps and Apple Maps so that people can find you regardless of what brand of device they are using. Another aspect is the backlinks that your website has earned. Backlinks are an important aspect to any SEO campaign, however there are several factors that you must consider when looking at backlinks. The number one factor being that quality matters far more than quantity. In fact, if you get bad backlinks, they can even be detrimental to your site and the quantity of them only amplifies the effect the backlinks are having. Try Boise Search Engine Optimization and watch the volume and type of traffic driven to your site improve through our successfully proven on-site and offsite SEO approach. Our Boise SEO company offer several different package levels for SEO because your website and your business are unique. Just like there are different shoes to accomplish different things, there are different types and different aspects of SEO that will benefit certain types of businesses. If you are a large e-commerce website, your SEO needs are different from those of a local bakery. Boise SEO offers a range of options to help your business find the right fit to help you succeed. In addition to the various SEO packages we offer, we also have a suite of social media management and advertising packages as well as a range of PPC, or pay-per-click, management offerings. For social media, we can assist in managing your platforms and postings to keep customers engaged, interested, and driving more business for your brand. In addition, we can create and run advertising campaigns on social media platforms to reach potential customers that aren’t currently within your circle of engagement. For PPC, we can create, manage, and educate you on how pay-per-click campaigns are run and maintained. We can also help you reach customers that you organically can’t. PPC can even be used to supplement what is doing well to reinforce your brand for targeted products or services when a customer searches for them. For any questions about our services, including SEO, PPC, social media, and website development, please do not hesitate to utilize our contact us form or call us today. SEO has proven to be the most effective way to attract consumers to your website. When consumers see that a business is ranked #1 in their search queries, they will automatically think that they are the best. Let us help your business take control of that position. The race to the top of the search engine results is furious. Don’t enter the battle unprepared. We have helped businesses across the United States, Canada, Europe, Australia, and Asia dominate their industries. Now is the time. Call (208) 649-5110.